Jazz spread like wildfire in Europe in the early 1920s and Poland joined the swing explosion with enthusiasm, merging it with its own fiddle-based traditions. But the second world war put paid to all the fun. After the war, amid Stalin’s repression, jazz came to symbolise freedom and resistance, so in many ways has a greater resonance here than in the UK, say. Nowadays such is the audience for the genre that top US jazz acts often play several dates in the country. There is boundless local and national talent, such as pianist Paweł Kaczmarczyk, who’s appearing at the club on 6 February, who have risen to the top at clubs such as Harris and U-Muniaka in Kraków. These are small places (both about 70 capacity) in near-1,000-year-old brick cellars with bars in adjacent rooms. Harris is on the hugely atmospheric Market Square and lays on mainstream jazz, funk and blues, good food (international mains from £3) and a boisterous vibe. On many nights it’s free of charge. A jubilee edition of the 25th Jewish Culture Festival in Kraków began on Thursday, bringing thousands of visitors to the city. This year’s edition will see as many as 300 events, led by artists and speakers from countries including Israel, the US, Hungary, Germany, Austria and Poland. Concerts, lectures, workshops, exhibitions, guided tours and film screenings (among the latter special showings of Oscar-winning Polish movie ‘Ida’) are all in store. The programme is divided into four sections: Classic, Off (Offbeat), Ideas and Art. This year, organisers are placing a special emphasis on Kraków’s Kazimierz quarter, the district that for many centuries was the centre of Jewish life in the city. As always, the ‘Shalom on Szeroka’ open-air concert will help wrap up the festival on Saturday 4 July, although there will also be some events on Sunday 5 July. For the full programme, see the festival’s official Jewish Cultural festival website. “We hope Pope Francis will come to Auschwitz and deliver a warning to the world by again demonstrating the horrors of war and the camps, so they’ll never recur,” Cardinal Stanislaw Dziwisz of Krakow told the Polish Catholic news agency KAI. An administration official at the Auschwitz Museum, Jolanta Kozuch, told Catholic News Service May 28 a date had not yet been agreed upon for a stopover by Pope Francis at the camp, 20 miles west of Krakow, where 1.2 million mostly Jewish prisoners died at German hands in 1940-45. Retired Bishop Tadeusz Pieronek, a former bishops’ conference general secretary who now lives in Krakow, told CNS he hoped more details would be available shortly. Cardinal Dziwisz spoke to KAI about preparations for July 26-31, 2016, World Youth Day in his diocese. He said bishops and youth groups from abroad were arriving in Krakow daily to check on preparations. He will also certainly visit a hospital or home for the poor, in addition to other points in his program. But many other groups, such as the students of Europe, are also getting in touch and hoping to have a moment for themselves with him,” he said. During his visit for World Youth Day, Pope Francis is scheduled to lead a Way of the Cross procession from the Krakow’s Divine Mercy Sanctuary, a prayer vigil on youth issues near the Wieliczka Salt Mine and a final Mass in the city’s Blonia Park. The cardinal said the program had been largely based on the success of World Youth Day at Poland’s Jasna Gora national sanctuary in 1991, but had also taken account of Pope Francis’ personal devotion to the Divine Mercy cult centered in Krakow’s Lagiewniki suburb. He also said he had asked Poland’s foreign minister to reduce visa charges for the 300,000 youngsters expected from Russia, Ukraine and other countries to the east. In a May 27 report, KAI said World Youth Day organizers were seeking 20,000 volunteers from Poland and abroad to help with the event, which was expected to attract up to 2.5 million people, including 35,000 from the United States. The agency added that the pope had been asked to visit other locations in Poland to mark the 1050th anniversary of the country’s Christian conversion, including Jasna Gora and the capital, Warsaw, and its oldest Catholic see at Gniezno. KRAKOW TOURS – Tomorrow, southern Poland’s most glorious city joins the premier league of destinations served from Heathrow Terminal 5 by British Airways. 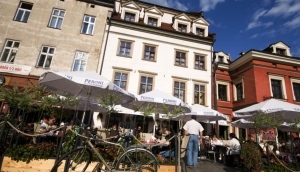 BA uses its precious slots only on routes that it believes will be attractive to business travellers so the new link, which offers connections from around the globe, testifies to the rising business profile of Krakow, (too) often described as the “new Prague”. 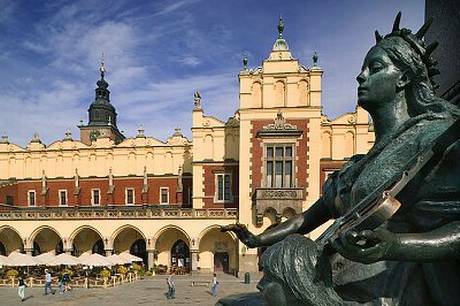 Krakow has a long, distinguished history as one of the great cities of Europe. Stand in its magnificent medieval Market Square, where coronations took place when it was Poland’s capital, and on every side you can see architectural master- pieces from centuries past. Most dominant is the Gothic basilica of the Assumption of the Virgin Mary or Kosciol Mariacki, with its celebrated tower from where the hejnal or bugle call is performed on the hour, every hour – breaking off sharply in mid note in memory of the fatal Tatar arrow that pierced the throat of the bugler, who was raising the alarm with his call in 1241 as Mongols besieged the city. One reason the centre of Krakow has been so beautifully preserved is the four lost decades following the Second World War. Until 1989, Poland was effectively under the stifling control of Moscow: the Warsaw Pact, embracing nations from East Germany to Bulgaria, was a union of unwilling participants who were prevented from access to the free market of the West. That, at least, was the idea – though Poles proved more adept than most at gaining access to the West, and the trading skills of some was the stuff of legends. Today, the notion that ambitious young Polish people tend to seek their fortunes elsewhere in Europe has been overturned. The city is styling itself as Poland’s Silicon Valley, and is attracting highly skilled IT and R&D professionals – with other businesses locking into the city’s growth strategy. Just as tourists find prices in Krakow gratifyingly low, the city is an inexpensive place to do business. Thanks partly to the wealth of hotels, Krakow is becoming a noted trade fair and convention city. The EXPO Krakow complex, a short distance east of the city centre, this year hosts Infrasnow, dealing with equipment for winter-sports resorts, in September; Krakow’s International Book Fair in the following month; and Horeca, for hotel, retail and catering establishments, in November. The city’s harmonious jumble of architectural styles – CORBIS Off-duty, the attractions are endless. Lining the Market Square are palaces, cafes and restaurants built in a harmonious jumble of Mannerist, Rococo, Baroque, Renaissance and even Neo-classical styles. Since Krakow served as European capital of culture in the Millennium year, 2000, it has lured avant-garde artists seeking freedom and inspiration. A leading gallery, ICC (mck.krakow. pl), is currently exhibiting until June an artistic dialogue between Brazilian photographer Cristiano Mascaro and Polish artist Slawomir Rumiak, and culture abounds on all sides. And even beneath you lies just one of a plethora of museums which opened in 2010. Spread over 4,000 square metres underneath the Market Square, this multi media museum (mhk.pl) displays treasures which relate the turbulent history of Krakow. Back at the airport – which is named after the city’s most celebrated son, Pope John-Paul II – the trajectory of Krakow is clear from the latest figures. It is the biggest regional airport in Poland, and last year saw its best ever year. This was helped by a 7 per cent increase in traffic to and from its biggest market: London, with a record-breaking 402,000 passengers on the route. The new British Airways link means 2015 stands to be even more successful. via Europe’s forgotten city back in premier league – Business – News – The Independent. The former Nazi concentration camp at Auschwitz is attracting so many visitors people may have to be turned away, staff there have warned. The Polish site, now a museum and memorial, saw a 40 per cent increase in visits in the first three months of 2015, compared with the previous year. 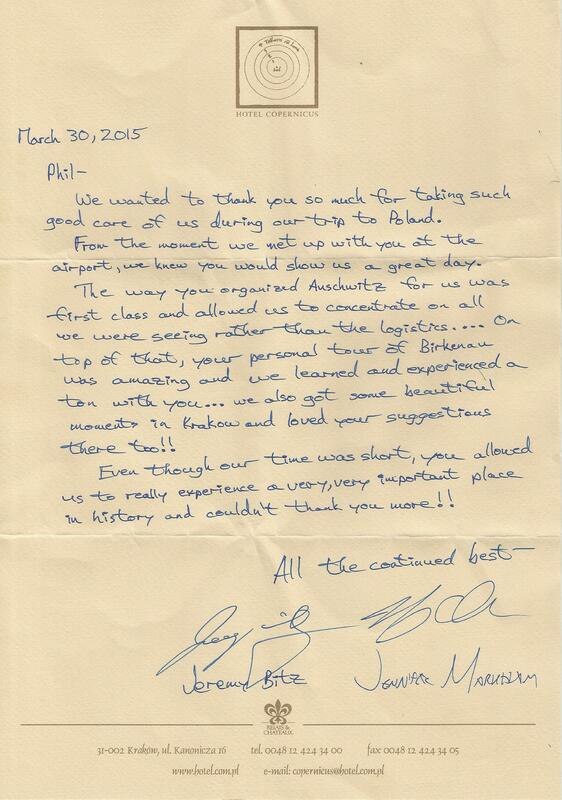 Staff advise people wishing to visit to book in advance online. More than a million people, mostly Jews, died at Auschwitz during World War Two. “We already see that on particular hours, long waiting may be necessary in order to enter the former camp,” said Andrzej Kacorzyk, the museum’s deputy director. This year the death camp marked 70 years since its liberation by Soviet soldiers, a possible explanation for the surge in visitors. But attendances had already been growing, with a record 1.5m people visiting in 2014. The news came as a former Nazi SS guard at the camp began the second day of his trial on charges of being an accessory to the murder of at least 300,000 Jews. Oskar Groening, 93, has admitted he was “morally” guilty but said it was up to the court to decide whether he was guilty under criminal law. via Auschwitz ‘may turn away people’ amid record visits – BBC News. A Polish Wedding….. All you need to know. KRAKOW TOURS– Polish wedding season is almost upon us. More and more foreigners are marrying Poles or getting invited to Polish friend’s weddings and there are things these people need to know. In this definitive survival guide to Polish weddings I will cover every potential pitfall, misunderstanding and health risk I’ve uncovered. Comparisons are made with British Weddings, the rest of you will have to wing it. In Poland it is quite possible to be invited to the wedding but not the wedding party. In fact it’s more common to be invited to the ceremony than to the party. Many Poles are still attached to the quaint notion that the union of two people in holy matrimony is a significant event that people might want to witness rather than a slightly tedious prelude to a booze up. Shocking I know, but there it is. If your invitation mentions “ślub” that’s the tedious prelude part. If it mentions “ślub” and “wesele” put on your best drinking shoes and pat yourself on the back, you’re going to a party. In a British wedding ceremony the groom arrives at the church first and waits at the altar with his best man for the bride to be escorted down the aisle by her father or nearest equivalent. It’s a tradition that allows for all kinds of hilarious church-based shenanigans such as the groom fainting from stress or the best man passing out from alcohol poisoning. It’s also frequently used as a dramatic device in the kind of movies where brides decide not to turn up at the last minute. In Poland the bride and groom arrive at the church at the same time and walk down the aisle together, sometimes in leg irons. If you’re waiting in the church and notice the groom is missing don’t get excited, he’s coming. Expectations of a thrilling ‘jilted-at-the-altar’ scenario are unlikely to be met. Expectations of the best man at a Polish wedding are not high. The ability to walk in a more-or-less straight line and hold some envelopes are sufficient qualifications. Polish best men do practically nothing. He walks behind the bride and groom down the aisle along with the bridesmaid and then sits down. That’s pretty much it. Best men are often also witnesses, but not always. In a British wedding it is the responsibility of the best man to bring the ring (note, only one ring) and hand it over at the appropriate moment, another tradition that provides limitless opportunities for humor. Not so in the Polish service – the rings are already there in a holy cubby hole of some kind. If you’re ever asked to be best man at a Polish wedding do not hesitate. No responsibilities, no speeches (more on this later), a definite invitation to the party and a guaranteed woman to go with. You can’t lose. On exiting the church the happy couple are traditionally showered with handfuls of loose change. They are then expected to pick it all up. Starting out on married life groveling around on the pavement for pennies like bums is, apparently, lucky. If you ever find yourself in this position I suggest bringing an umbrella which you can smoothly invert to catch the bulk of the incoming coinage. Immediately following this potentially painful and humiliating indoctrination into marital finances everybody lines up to pay their respects to the couple and hand them wads of cash. Three kisses on the cheek and flowers for the bride, a handshake and an envelope full of money to the groom. I’m told the going rate is about 200 zloty. The bride hands her flowers to her bridesmaid, who needs to have forearms like tree trunks, and the groom hands the envelopes full of money to the best man, who needs to have moderately large pockets (I told you this job was easy). Off to the party, which might be in a wedding hall, a restaurant, or somebody’s back garden. On arrival everybody gets a drink and the bride and groom get salt and bread. Again, if you ever find yourself in this situation, don’t panic – it’s just symbolic, it doesn’t mean you’re only getting salt and bread for the rest of the evening. One or other of the parents who’s job it is to provide the bread and salt may make a short speech and start blubbing at this point. We want him/her/them to live. Once the singing has died down everybody sits down to the first meal. Note my use of the word ‘first’ here. There may be additional singing in the form of traditional demands for the bride and groom to kiss like alien face-huggers, but there’s nothing important going on there that you need to worry about. Immediately following the first meal the newlyweds are invited to embarrass themselves horribly by performing the first dance. This is how it works. Immediately after the first toast you will sit down to an excellent meal of something roasted, with vegetables and potatoes and a side salad preceded by soup. You will eat this and then help yourself to the various cakes, cold meats, breads etc. scattered liberally about the table. At this point you will be completely stuffed and saying to yourself “Hey, that guy was right, there really was a lot of food, but I could handle it.” You will probably be quite satisfied with yourself and think me a moaning minnie with the food handling capacity of a small rodent. About an hour later the waiters will be bearing down on you with exactly the same thing all over again. An hour after that they will be back again. By now you’ll be feeling the fear. Fortunately there are only three or four more courses to go, each one the size of a hearty Sunday dinner. And then cake. Do not attempt to eat everything served to you. You will die. You have to regard the food as symbolic. It’s a symbol of wealth and plenty, an overwhelming feast for the happy event, it’s not an actual meal. Vodka is a big deal at Polish weddings. Talk of who is going to buy the vodka and where they are going to get it begins at least six months before people start considering less significant details such as wedding dresses or who to marry. Presumably there was a time when vodka was in short supply or had to be manufactured in the woods because, as far as I can see, the entire problem can me solved in a ten minute trip to the local supermarket. However, I digress. Assuming the vodka is there and, to be honest, the wedding would have been canceled if it wasn’t there are a few things you should know. Vodka is only drunk collectively. Glasses are filled, somebody proposes a toast, vodka is drunk, and glasses are refilled in readiness for the next toast. There’s no casual solitary sipping. It’s all or nothing every time. Sometimes it will be a special wedding vodka prepared according to a traditional recipe known only to 84-year-old uncle Bogdan. These are often sweet and pleasant tasting but can still kill an elephant at 20 paces. Do not be tempted to fill in the time between toasts with a beer or a glass of wine, that way lies very messy but dimly recalled madness. The throwing of the bouquet will be familiar to British readers and it has the same function at a Polish wedding, except that it takes place at the party and not outside the church. The difference at a Polish wedding is that it is taken much more seriously. In the half an hour before the tossing of the bouquet is due you’ll notice a gradual but complete evacuation of the building by all unmarried females over the age of about 24. To be 25 or older and still in that circle around the bride is a powerful shame. Unlike men at British weddings Polish men also get the chance to make utter fools of themselves scrambling after discarded clothing. The groom’s tie is the sought after item in this case. By this time of the night any male who is still able to stand, regardless of age, is considered a good catch. Dancing is also a big deal a Polish weddings. It’s the women’s vodka. The first time I went to a Polish wedding my girlfriend said “You know there will be dancing, don’t you?” “Well yes” I said “that’s normal.” I had in mind the vague individual flailing around that every self-respecting Brit regards as dancing. Not so. Proper dancing is expected. In pairs, with feet and everything. Dancing schools make a killing in Poland. The cake is cut and distributed to the groaning overstuffed guests at midnight. Or at some other random time. Then they wheel in an entire roasted cow just in case anybody is feeling peckish. Knocking off time will probably be sometime around 3 or 4 in the morning. It is true that Polish weddings sometimes go on for two days. The second day is known as “poprawiny” and you’re most likely to come across it at a traditional village affair. At first the idea of a party that goes on for two days sounds quite appealing to the average Brit. By the fifth course of the first night the idea becomes less attractive. The first time I went to a two-day wedding I imagined a Bacchanalian blow-out that would literally go on for 48 hours. In fact the truth is less terrifying. On the first night everybody goes home in the early hours of the morning, sleeps for 10 hours, then comes back and does the whole thing all over again minus the tedious mucking about in church. The second night is traditionally much more relaxed than the first. It’s a no-holds-barred party to celebrate the fact that the previous night’s party went well, or to rectify the fact if it didn’t. Boys are sorted from men. For a fantastic wedding photographer in Southern Poland have a look at Lukasz Lisiecki’s website. KRAKOW TOURS: Krakow is now the best place in Europe to sample Polish craft beers, and brews from independent beer makers around the world, but just five years ago it was almost impossible to find anything on tap other a handful of bland, gassy lagers. It has been a lightning revolution that shows no sign of fizzling out. In the years after the fall of Communism in Poland, multi-nationals such as Heineken and Carlsberg quickly gobbled up the few remaining national breweries. These companies used their marketing muscle and scale to convince Polish bar managers to stock the ‘must-have’ brands. Nearly all these beers were pasteurised lagers of similar strength and taste. For the discerning beer drinker in Krakow, the situation was dire. About five years ago, a small number of entrepreneurial pub owners in Krakow decided to turn the accepted pub business model on its head. Instead of selling mainstream beers, they focused instead on providing beers from regional and independent breweries. Consumer response was overwhelmingly positive and, before long, these bars began to build loyal followings. 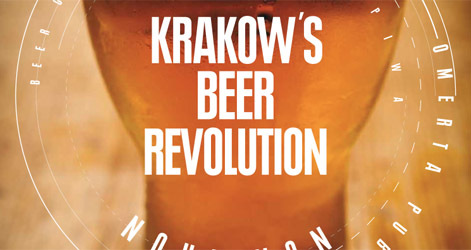 via Krakow’s Beer Revolution » Krakow Post.